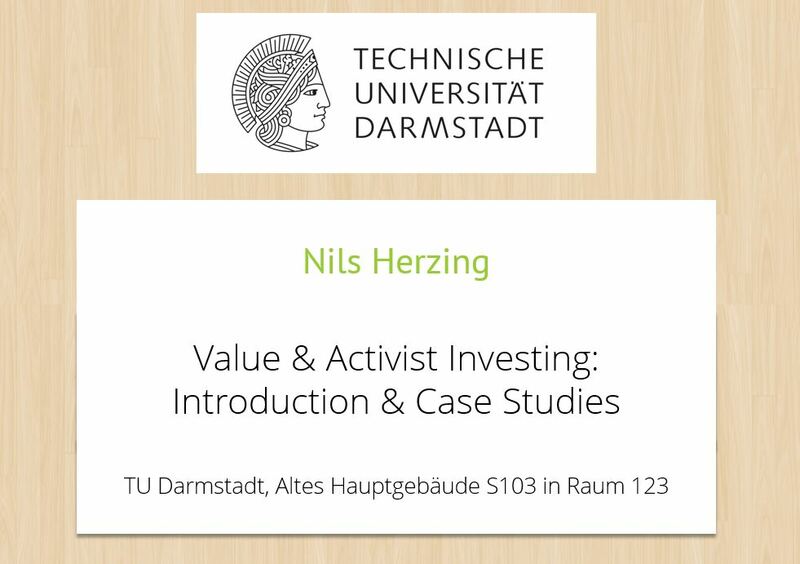 After the success of our last presentations we are happy to announce one new presentation about Value & Activist Investing. It will be held by us at the 09.11.2016 19 on the TU Campus in Darmstadt in room 123 of the old main building S103. The presentation will be presented in german and will deal with an introduction to Value Investing and two case studies. The Case studies will be interactive and contain a long pitch which we have not yet presented on the blog. You are kindly invited to the presentations but as place is scarce you have to quickly fill out the form below with you name and the number of guest first so that we can plan. We would be glad to host many visitors. Please enter your name into this form to join here Thanks.